Taking simple steps towards the prevention of diabetes can help stop the disease before it becomes an issue. Diabetes is a very common disease that develops when blood sugar levels are too high. The sugar in your blood is the main way to get energy through the body and that’s a direct effect from the food consumed. Insulin is produced in the body by the pancreas and acts as a helper to get the sugar from food into the cells in the body. Unfortunately, not everyone’s body makes enough insulin to convert the sugar correctly into energy. It’s also possible that the body doesn’t use insulin correctly, or doesn’t make any, making the sugar stay in the blood without reaching the cells that they needs to create energy. There are two types of diabetes, type 1 and type 2. Type 1 means that the body is unable to make insulin making the immune system attack the cells in the pancreas that creates the insulin needed. Type 2 diabetes is when the body doesn’t use insulin in the right way. They both can be developed at any age although type 1 diabetes is more commonly developed at a young age. Here we are going to address the prevention of diabetes and different ways how to avoid diabetes. Continue reading to learn some steps related to ways to prevent diabetes, at any age. Recently diagnosed with diabetes? Click here to learn what lifestyle changes you should make. Type 2 diabetes is the most common form of diabetes, more than 24 million American suffer from the disease and it’s common for many of those 24 million to not even know that they have diabetes. Diabetes has many long-term effects on the body such as kidney failure, blindness, nerve damage and circulation problems. Although diabetes sounds scary, there are steps that can lead individuals to the prevention of diabetes. Getting up and being active can also reduce the chances of developing diabetes. Keeping your muscles active can help them use insulin in the right way and absorb the sugar from the blood. Going for walks and moving around the house are other ways to benefit the body. Getting out away from the TV decreases the chances of developing diabetes because the more TV watched, the higher the chance of gaining weight, creating a link between TV, weight gain and diabetes. Being healthy revolves around the food that is consumed. Choosing the right types of foods can significantly decrease the chances of developing diabetes. Choose whole grains and whole grain products over processed carbohydrates such as white bread and white rice. Instead of reaching for a soda, try water, coffee or tea. That doesn’t mean load your coffee and tea with sugar but instead put a serving size of milk or creamer into your warm drink to give it a bit of a sweeter taste if needed. Watching the type of fats consumed is another one of the ways to prevent diabetes. Good fats can be considered vegetable oils, nuts and polyunsaturated fats. Bad fats are found in margarine, packaged baked goods, fried foods and trans fats. Choosing to live a healthier lifestyle doesn’t have to be a major sacrifice. Getting up and being more active will make you feel better and so will following a better diet. 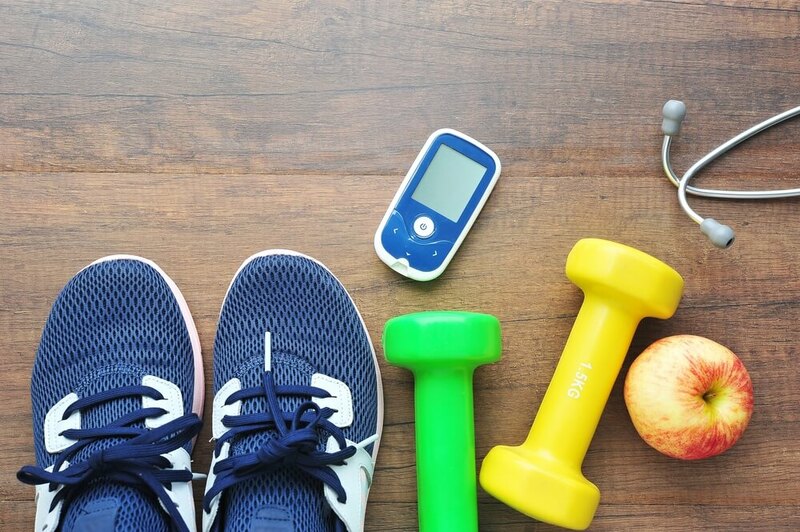 If you’re concerned about the risk of developing diabetes, speak to your doctor about your concerns and work together with these tips as well as their recommendations for the prevention of diabetes.